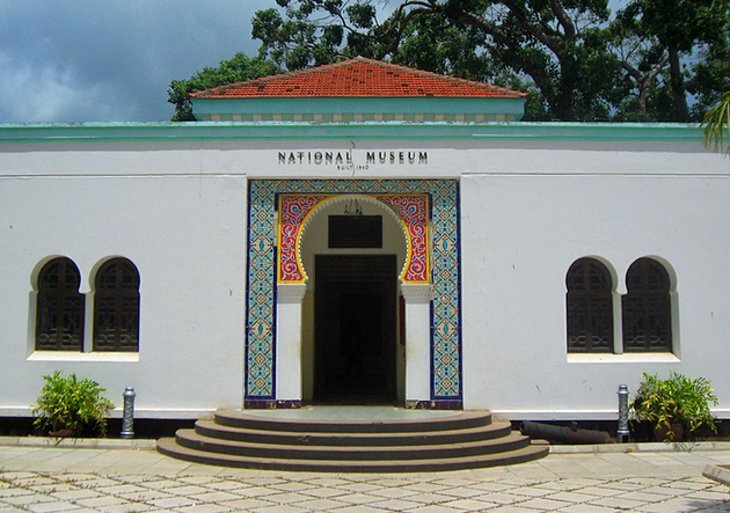 Located in Dar es Salaam, Tanzania, the National Museum of Tanzania is a consortium of five museums. It was created in 1934 by Governor Harold MacMichael of Tanganyika at the time. Articles on Tanzanian history and natural environment are on display. The most popular exhibitions are: the sea sciences room where you will find many shells, the skull of a very rare marine mammal (the dugong). In front of this room is a room dedicated to the tribal tradition where is exposed clothing, musical instruments, amulets.Then returning to the entrance of the museum, stairs and you will see the "Hall of Man" which traces to the first stage all human evolution since its first steps in Africa there are 4.2 million years, thanks in particular to the discoveries of Olduvai, Laetoli and Isimilia. In the history room to discover all the history of Tanzania. For lovers of culture, discovery and history this place is ideal for you.